Jaddi Offshoot is proving to be a powerful main deck and sideboard card; it is awesome with both fetchlands and green acceleration cards a la Explosive Vegegation. There are lots of interesting things to talk about with this deck, but the most aggressive has to be the mana base! That is right friends / neighbors / listeners… There are four Evolving Wilds and one of each of the four different basic lands in this deck! The mechanics of this deck are a little bit different from other Rally the Ancestors decks. Unlike some of the earlier Rally decks, Maynard’s build plays the mighty Jace, Vryn’s Prodigy (arguably the single strongest card in Standard) to start setting up the Rally the Ancestors graveyard action. 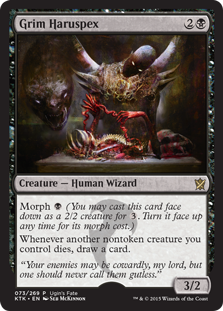 Ultimately the plan is to use Nantuko Husk to get mad card advantage with Grim Haruspex and potentially grind the opponent to death with Zulaport Cutthroat. 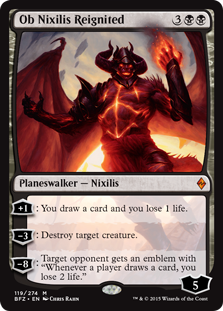 Every time you sacrifice a creature to Nantuko Husk, Grim Haruspex allows you to draw a card. You can get some of them back later with Rally the Ancestors (or conversely, maybe you were going to lose all of them anyway due to already coming back via Rally the Ancestors). Zulaport Cutthroat might look like it’s carrying a chainsaw, but with Nantuko Husk sacrifices, it is more like a machine gun. Of the three awesome new-ish decks, Jake Mondello’s Eldrazi ramp may be the most exciting. 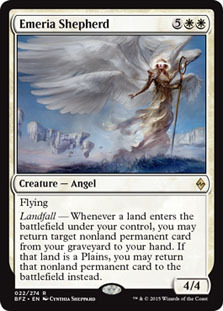 Mondello’s Eldrazi Ramp might look like a sledgehammer… But it is actually a very elegant and subtly built version. Another card type that is missing is enchantment. 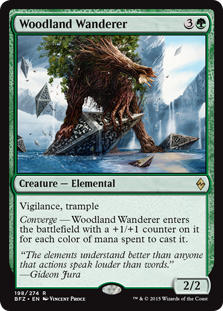 Mondello played many four mana accelerator cards like Explosive Vegetation and Hedron Archive; but From Beyond and Frontier Siege are both comparable… But they are enchantments. Because Mondello had none, he was less vulnerable to Dromoka’s Command. That said, Map the Wastes is actually pretty good in this deck. Adding Bolster to an acceleration card isn’t too bad when you run four copies of Jaddi Offsoot main! And speaking of Jaddi Offshoot, it has lots of text in this deck. While Mondello had no fetchlands for double triggers, he did have tons of cards that either find or put into play multiple lands with a single card. Temur Battle Rage is probably the most important Double Strike card in Standard right now…This week Top Level Podcast brings you “Double Strike” … a double-sized recap of the top decks from Pro Tour Battle for Zendikar! Esper Control (aka Orzhov Control splashing blue) has a branding problem… But Patrick takes care of that, no problem. Pro Tour Champion Patrick Chapin and onetime Resident Genius Michael J. Flores return to the world of the Star City Games Open Series for one more pass at Standard before this week’s Pro Tour Battle for Zendikar. What a weird Standard this is! The Top 8 of the Atlanta Open was all G/W Megamorph variants and Jeskai variants. Literally every deck in the Top 8 had either four Den Protectors or four Mantis Riders. At the same time we have decks that either cut the fourth Siege Rhino… Or can loop lots of Siege Rhinos with cards like Kolaghan’s Command. Speaking of Siege Rhino, Ali Aintrazi improved his performance week over week, missing Top 8 on breakers (9th place). Patrick in particular likes the move away from Eldrazi; Mike likes moving Siege Rhino to the main, and the top-to-bottom stack of just super premium cards. Our intrepid hosts go over tons of Top 32 decks — all flavors of G/W, Jeskai, Abzan, and Red Decks — until which point Patrick makes the point that 28/32 were white decks. In typical Top Level Podcast fashion Patrick leaves the podcast with quite the first falling domino. Just imagine playing the card Emeria Shepherd in a format with Sakura-Tribe Elder. Arashin Cleric just isn’t good enough. As a plan… Arashin Cleric isn’t a plan. In the past, Arashin Cleric could be a bridge… A tool that you could use to get you from the pressure of the first turns to a card like Siege Rhino (which might incidentally get you even more life)… But as a plan? It’s not going to be able to win a game by itself. What’s the problem with Arashin Cleric these days? 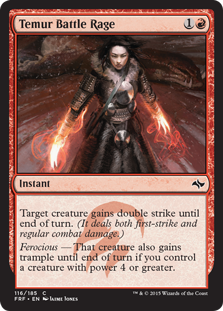 The Demars take on Atarka Red is ultimately a combo deck, not a straight beatdown deck. As a beatdown deck it is actually kind of mediocre. 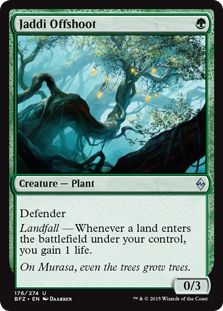 But as a deck that uses Bloodstained Mire, Windswept Heath, and Wooded Foothills to fill its graveyard so that it can land a super quick Become Immense (and maybe lethal Temur Battle Rage)? … Now that is a plan that Demars can get behind! 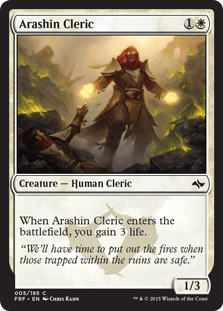 But because the deck isn’t about playing fair; not largely about trading burn spells for creatures, Arashin Cleric is much less effective than it has been against other Red Decks in other contexts. That is not to say that Arashin Cleric is somehow bad… You just can’t rely on it 100% to win sideboard games for you… The way Demars actually landed on this deck is that he got beat up in testing, even in the games he had Arashin Cleric sided in! 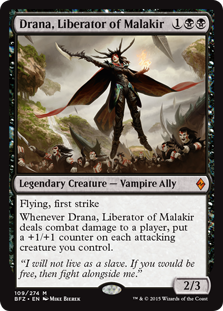 Patrick and Michael talk about most of the new Battle for Zendikar Standard strategies, but mostly Atarka Red; and largely about how Arashin Cleric isn’t enough.